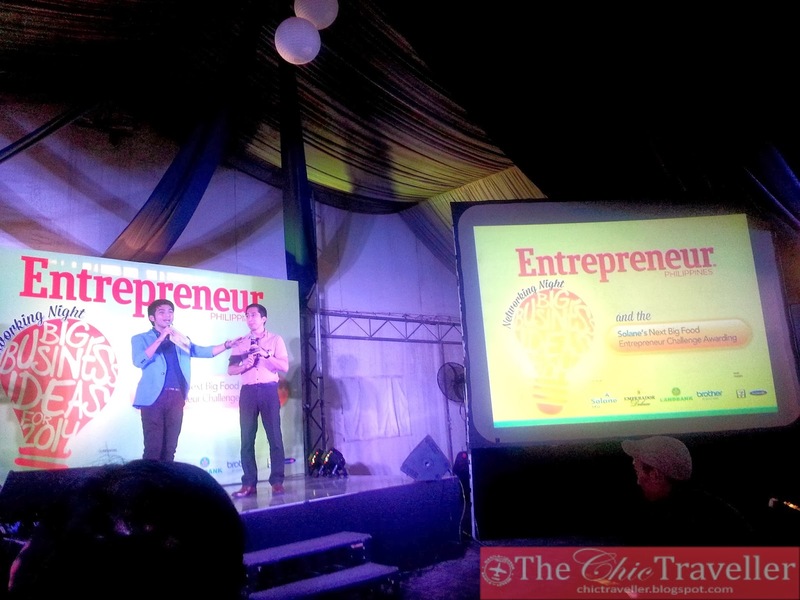 Last week, we were invited to attend the Entrepreneur Philippines' Networking Night for December 2013. This was also the venue for our awarding as Best Business Plan winner of the Solane Next Big Food Entrepreneur Challenge. It was my first time to attend such an event, and I'm absolutely happy that I was able to participate in one. 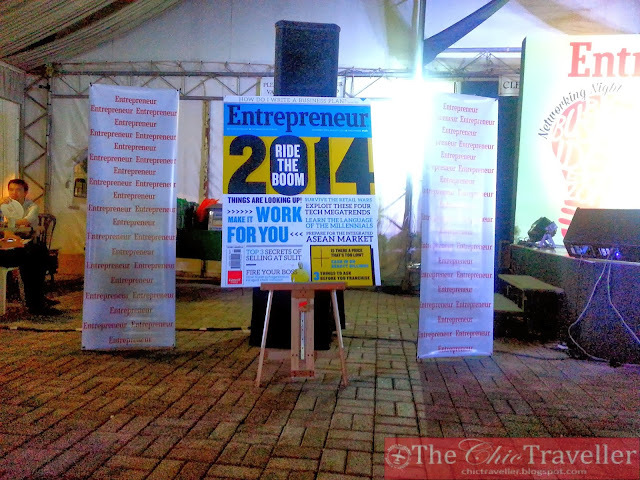 Entrepreneur Philippines magazine December 2013 cover in huge tarp size near the stage. 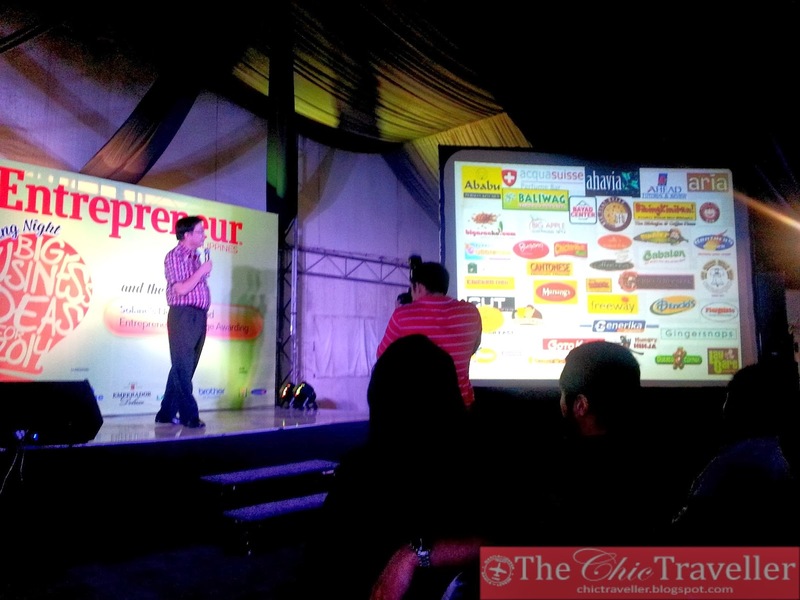 The event kicks off with a presentation on the latest product from Emperador Brandy. 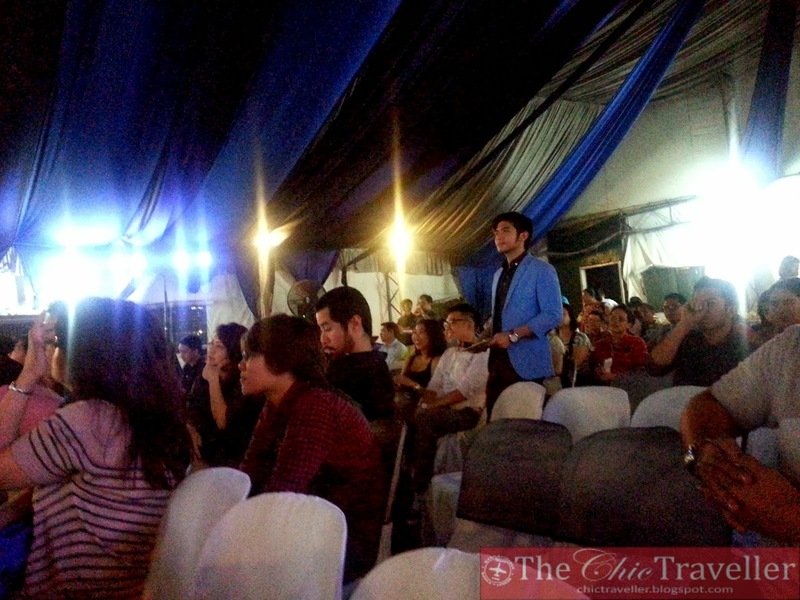 The marketing manager indulged the audience with commercials for their new product Emperador Deluxe. The host made sure that the audience was able to ask the speaker some questions after each segment. It's good that he encouraged the audience to interact, which made the program more interesting. Atty. 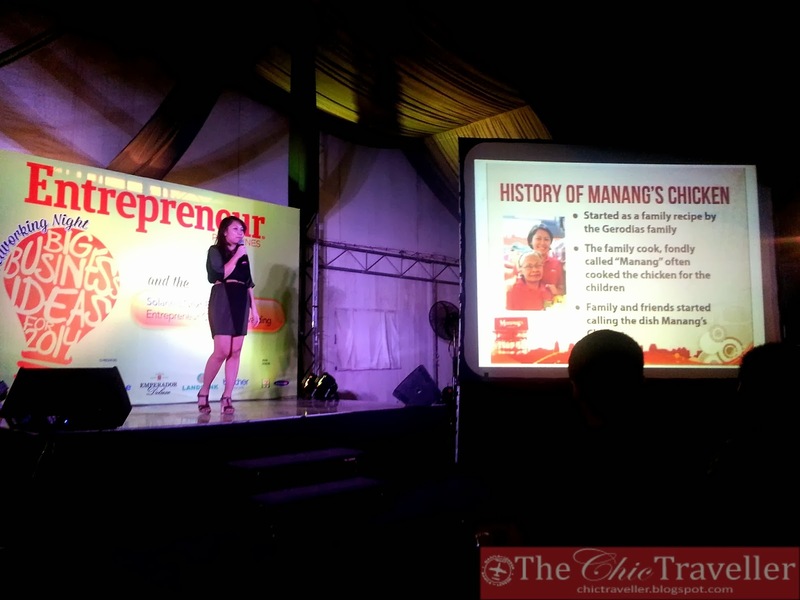 Jill Gerodias-Borja also shared business tips from her experience with Manang's Chicken. I admire them because they have grown fast over the last few years. She has such big dreams for the brand! The way she runs the business is very professional. I like her for being such a gung-ho entrepreneur. There was also a talk from AFFI on franchising your brand. Shown here are the brands they have worked with. It's definitely better to partner with big franchise organizations to help transition one's expansion in the future. I hope ma-afford namin services nila! Other segments include presentations from other sponsors like Land Bank and Brother. 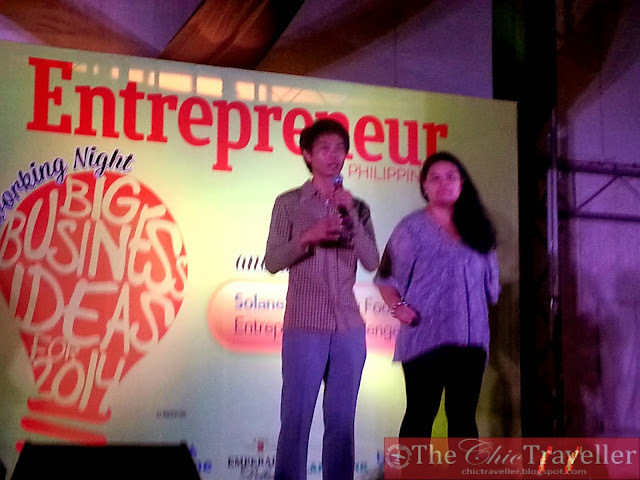 The last part was the awarding of Solane's Next Big Entrepreneur Contest. Details to be shown in my next post. Overall, Entrepreneur Philippines Networking Night had a lot of things in store for its participants. One thing I wished is that they could have started earlier. The event invite was 6pm but it actually started past 7pm. Good thing they had food for the guests naman. I'd definitely look forward to attending another one of these events in the future.